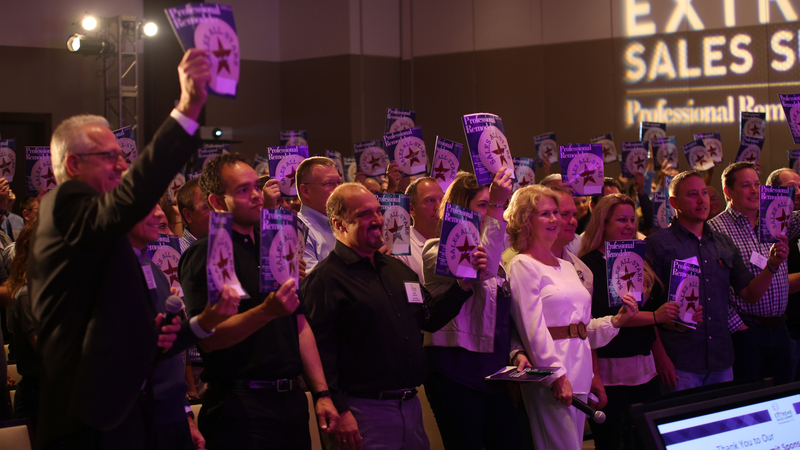 2018 Wage & Benefits Study: Washington D.C.
We surveyed hundreds of design-build firms across nine of the country's most active remodeling markets, to finally answer the question: what is competitive pay? In Washington D.C., average pay for a carpenter is 12% too low to keep pace with cost of living. Respondents in Washington D.C. have more revenue on average than companies in any other market studied. 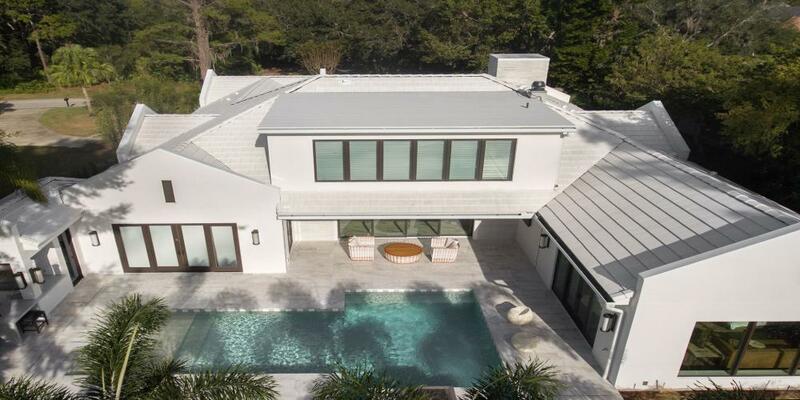 With a mean of $6.2 million in total revenue and $5.1 million solely in remodeling revenue, these tend to be larger firms with higher numbers of employees. Also notable is respondents’ average job size of $183,000. 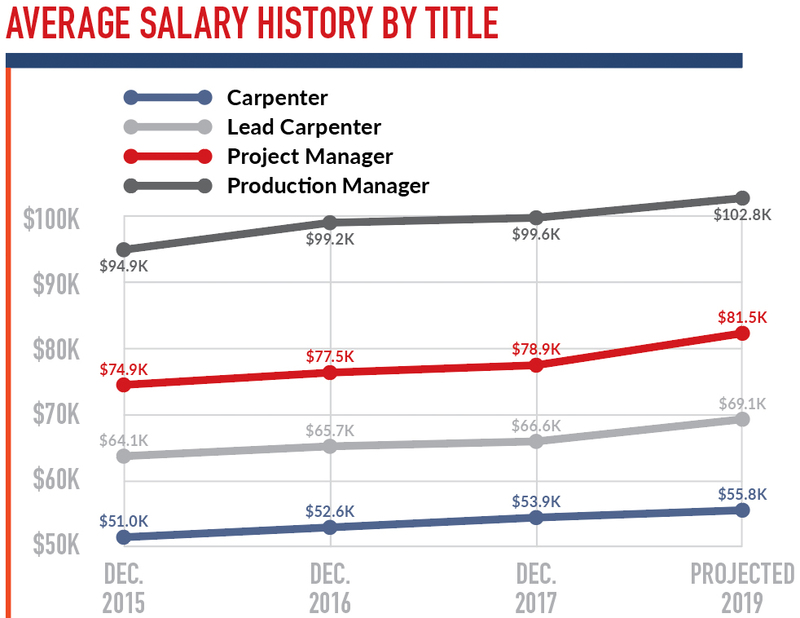 So, it’s somewhat counterintuitive that salaries and benefits for carpenters—adjusted for cost of living—would track below many of the other markets. 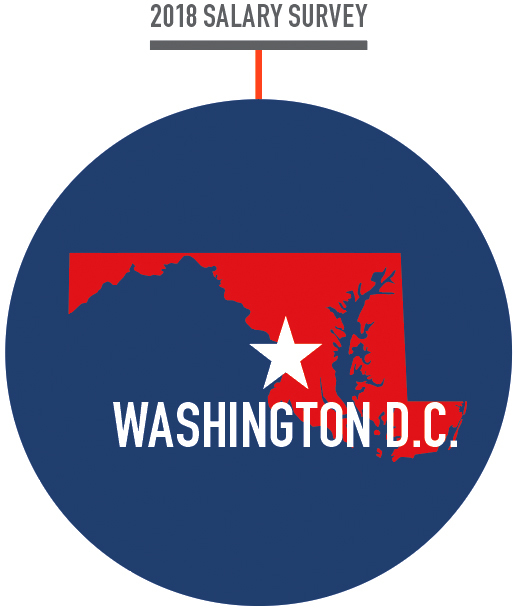 In Washington D.C., average pay for a carpenter is 12% too low to keep pace with cost of living, although the other three production positions pay enough to meet, or stay slightly ahead of, expenses for the area. That said, the range for carpenters—$30,000–$105,000—is the largest in all nine markets. A handful of outliers on the low end pulled down the entire average. Experienced D.C. carpenters, and to a lesser extent leads, earn well below their peers in other markets, especially when cost of living is taken into account. Once a field staff member enters management, he or she fares significantly better, with 10-year production managers making more than comparable professionals in every other market except for New York. Although only 14% of carpenters have job-related education in D.C., the ones that do report average salaries that are 29% higher. It’s an especially large gain, considering the group’s wages lag behind other markets. Unlike a number of the metro areas we studied, few professionals in D.C. take advantage of enhanced training, but the ones that do see large pay increases. Remodelers in D.C. are projecting an average wage increase of 3.5% over the next 12 months across the four jobs. That’s in keeping with cost of living for all positions except carpenters, who will continue to track below expenses even after the raise. Average carpenter compensation would need to rise to $62.3K to be on track with local cost of living. 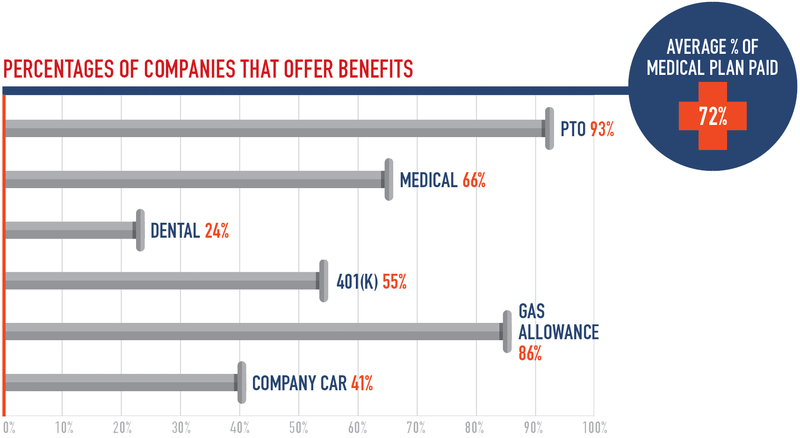 When it comes to percentage of companies with medical benefits, D.C. sits in the middle. However, it’s worth nothing that when calculating benefits, we counted companies rather then employees. If we input the formula using individual employees, then the number of carpenters eligible for medical benefits is 47%. Paid time off drops to 77%.